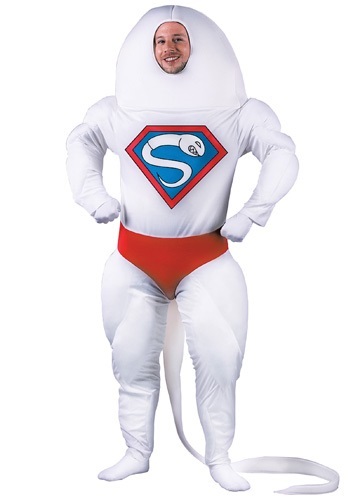 Adult Super Sperm Costume By: Fun World for the 2015 Costume season. Forget Spiderman! Batman who? Guess who is here to save the day... its Super Sperm! Transform into the newest superhero with this hysterical Adult Super Sperm Costume. You can come up with your own catchphrase like, "I am the protector of ovaries"...or something!